Honestly, thinking about marrying off my baby boy one day downright terrifies me. I’ve prayed for my children and the right mate before they even took their first breath. I remember carrying each of them, with so much wonder and a little terror because I knew what frailty our hearts and flesh bring into this life. I’ve not prayed as fervently recently as I probably should, but thinking about this stirs all kinds of emotions. I see my son bringing in mudpies through our kitchen and spontaneously gifting me with tiny white flowers growing in our weeds now that spring is here (the best flowers, hands down). Life won’t always be this simple. I like to think that maybe one day he and I can talk about all of this at an age where he might be open to my words, and pocket of experience. I hope that in some way by then I will have won his heart, and his trust. I imagine us in our kitchen talking while his younger sister dribbles the basketball outside one afternoon. Iced tea glasses would be sweating rings of water on our counter and he’d be ready to talk about something I was mostly dreading but anxious to chime in on too. I’d have to be careful not to sweep over his heart in my attempt to protect him. First, I’d want to hear what he has to say. I want that door to always, always be open. No matter what. Once I let him talk about whatever was on his heart about all of this, I’d tell him that there isn’t anything wrong with looking for a pretty girl but that “pretty” only goes so far. 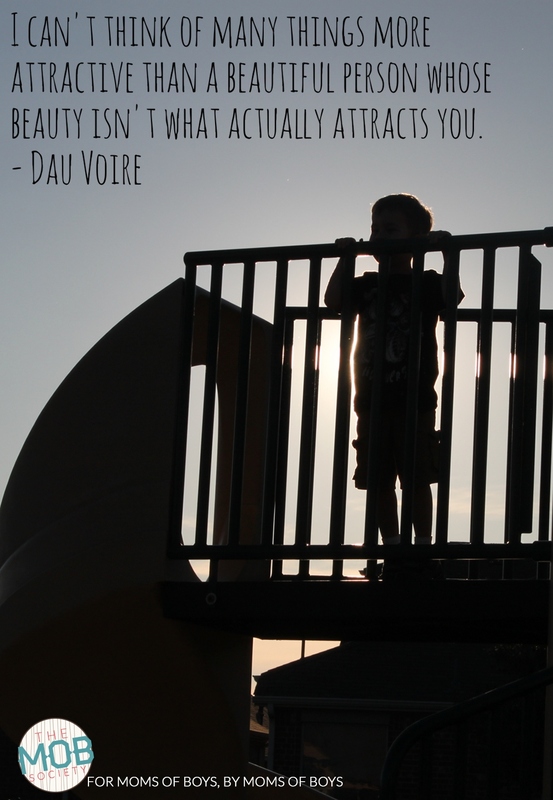 I’d try to help him understand beauty only goes so deep. I’d challenge him to find someone he can be BEST FRIENDS with. I’d also tell him that you can tell a lot from a person by watching what makes their world go round. What brings this girl joy? Is it always all about her? Does she enjoy helping others? Mission work? Children’s ministry? What is she about, past her outward appearances? I’d try to help him see that ten years from now, the things that bring her joy are more likely to be magnified in that time frame, rather than change. What she is made of will be more important and valuable to the success and happiness of their marriage than anything else about her. I’d ask him to look deep and pray. And to be brutally honest with himself. I was thinking i was the only one terrified of getting there…i guess we all are.my little boy is still a toddler,so until then i m gonna keep him all to myself.